She wrote a poem. Did you understand? very cleverly written poem on Bee is wonderful.I like your selection of ideas. Thanks for liking my MURKY EVENING. A COMMENT FROM YOU WOULD HAVE BEEN GREAT. BeeinSolanki. That was calling for more! A marvelous read. Thanks again also for visiting nothingcluelesslost.com and Remembering the Slums. The poem is beautiful. I love it. like your poems. do check out mine and tell me if they are good enough. 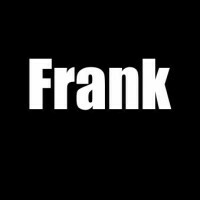 This is amazing and out of box poem.I loved it ,Frank! I’d love to try some of your poetry on my new blog. Would be perfect and you would get full credit for all your work. Check out my newest barely started blog and read the description of it. One of my Solanki favourites! between my legs, a slithering snake. burned a squirt, inflamed brown ring. and made to breach, myself its slave. But from my mouth a hissing sound. I love this!! Definitely one of my favorites. Hmmm stinging honey I presume. I enjoy the whimsy in this. Bees r the best!! And where’s honey? Haha, that was a fun ride.